My husband and I bought our first home in Chino Hills with Erika, and we couldn't be happier! 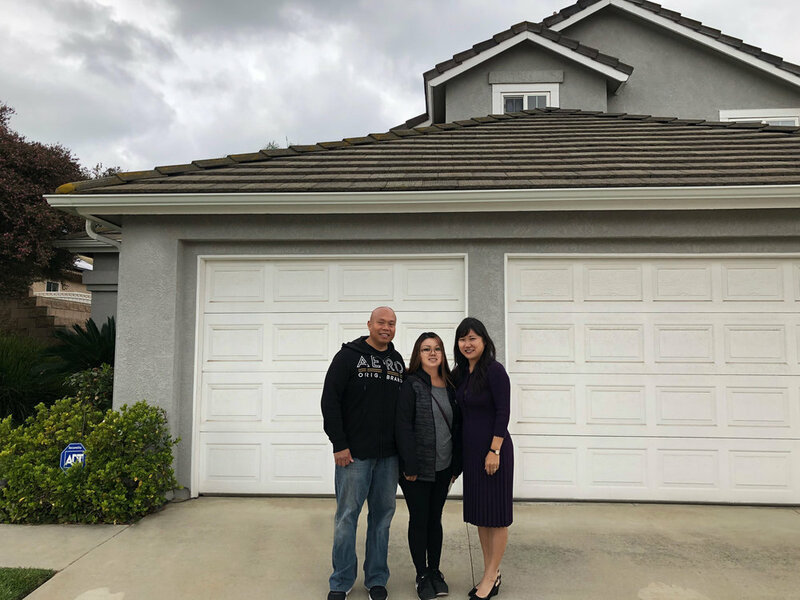 Erika showed us everything in our price range that was on the market in Chino Hills, but at first none of the homes really caught our interest enough to move forward to buy one. My husband and I patiently waited until the right home came up for us on the market. Erika kept us updated with all the new homes that were on sale, and with a little bit of patience, we eventually found the right home. We are so thankful that we were patient, and that Erika was there to guide us through this process. Since this was our first home buying experience, we were stressed in the beginning, but Erika and her team made the whole process stress-free, and a very, very pleasant experience. We know we can count on them with anything related to real estate, and we highly recommend Erika to any future buyers and/or sellers. Thank you to Erika and everyone on her team! We have just finished moving into our new home in Chino Hills and we are so happy with our new place. The kids love their new home and swimming pool. We have Erika and her team to thank for making this all happen so smoothly. I had originally sold my home in West Covina with Erika and we decided that Chino Hills was the right city for us to move into. We know it was not easy for Erika to find us the right place because my husband and I were looking for a specific home that was in the right price range. Erika never gave up on finding us the right place and sent us possible choices each week as soon as the homes came on the market. We sincerely appreciate all her hard work in making this happen for us. We would highly recommend her to anyone looking to sell or buy a house.